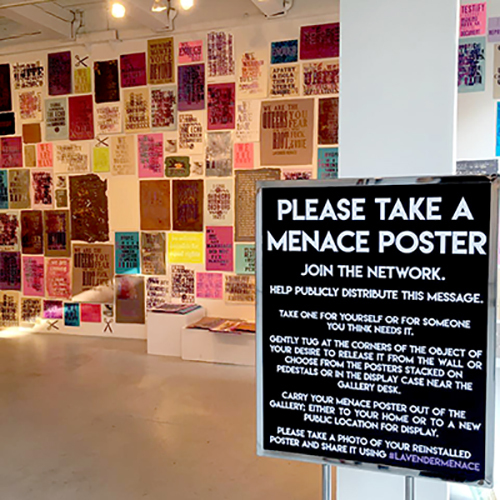 The Lavender Menace Occupation (LMO) was developed from the lavender menace poster project: a series of posters and other text based artworks that utilize letterpress printing, hand papermaking, and laser cut text, to address queer visibility politics, while creating art objects that are easily distributed through an invisible network of participants. 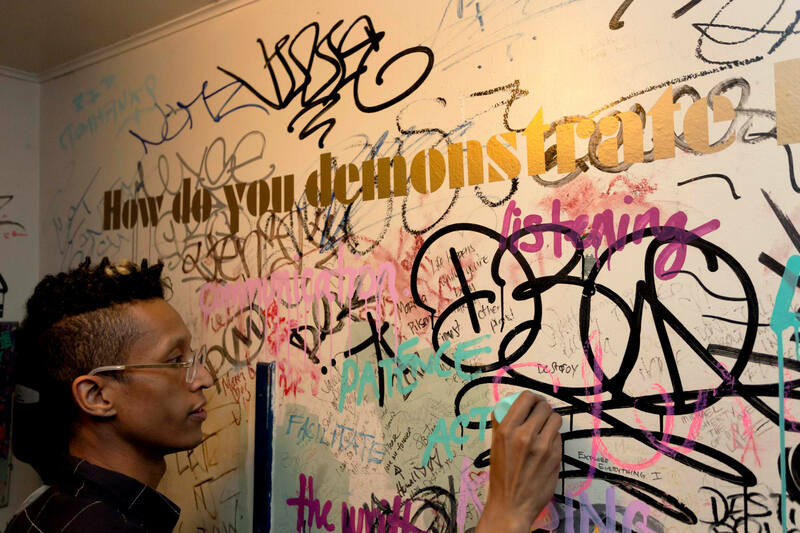 The goal is to make works that speak to a marginalized population while also enlisting them to engage with and distribute the work outside of the white cube gallery space. 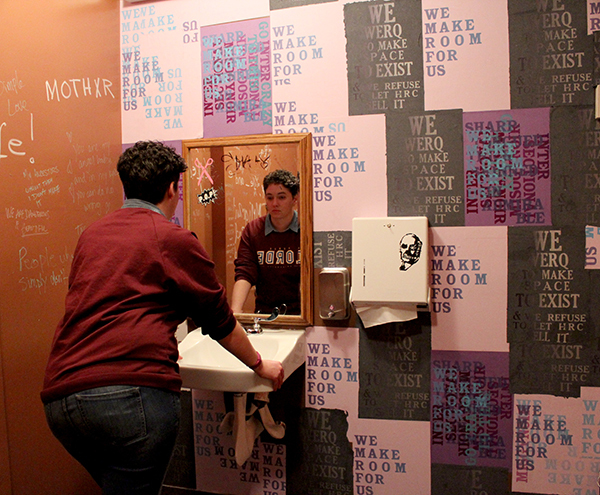 We will coordinate a series of public interventions through installations in public bathrooms and distributing public surveys as a means to create content for publication and empower further communal action and participation. 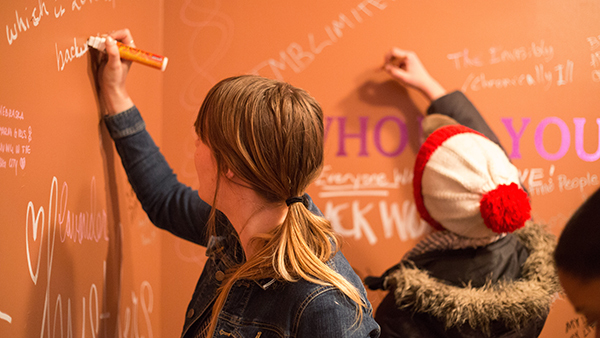 Through the collection of surveys, we will produce a publication on social practice-based strategies that can be used to elevate causes related to social justice. 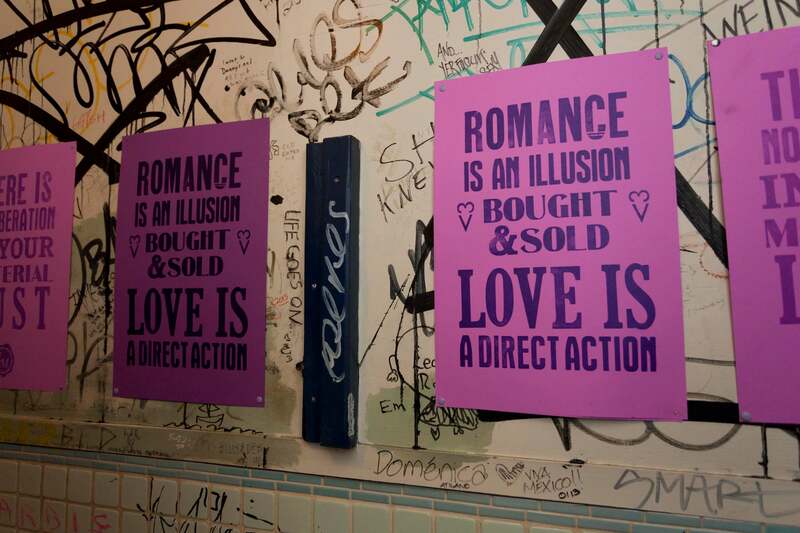 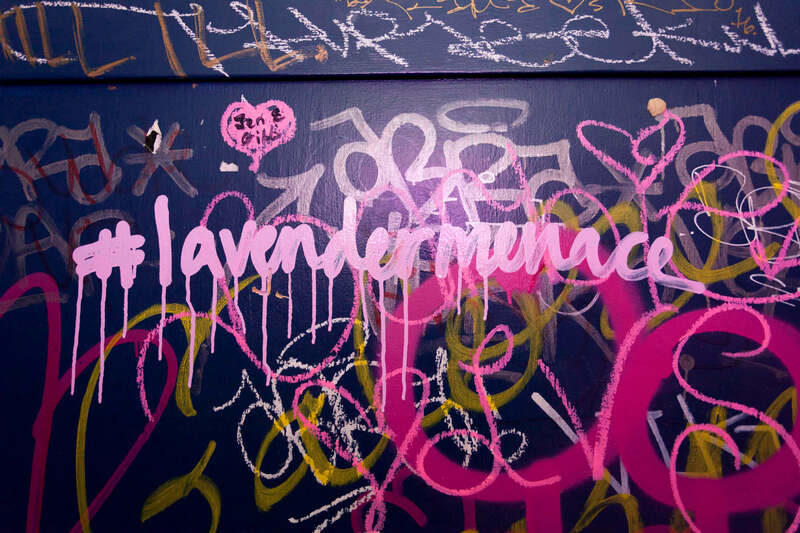 The publication will present the scope of the lavender menace project while serving as a resource for artists and activists interested in using printmaking as a form of subversion.